Just went to see Equus today. Was rather impressed at the overall play. I loved the storyline and enjoyed the acting very much. There were a few little mistakes made, but congrats goes out to the cast for really making it a play worth watching. Oh yea, Khazmen played Nugget (the main horse) and he carried one of the other actors as he ‘galloped’ away. He carried him for what seemed like a really long time, at which I’m suprised at. Never knew he was that strong. Anyways, going to see a play after so long really brought back memories. And here are the pictures to explain some of those memories. I know how different I look in these pictures, but hey, it’s still memories that mean a whole lot to me. And I’ve come to accept the fact that I looked weird. Checkmate 2003. 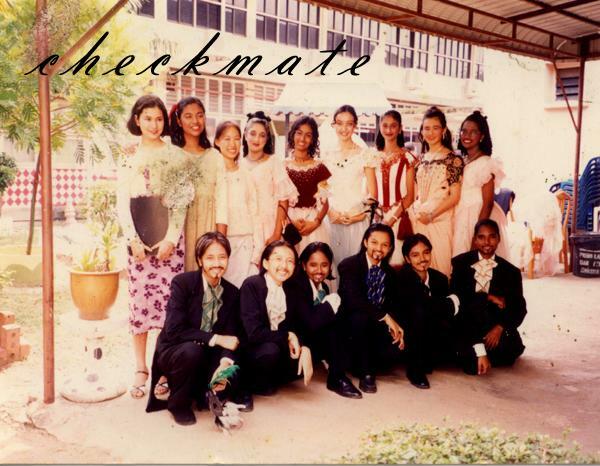 Was involved in drama the year before ( Metamorphosis 2002 ) but I can’t seem to dig out any pictures of those. Unfortunately no one decided to take any real pictures back then. 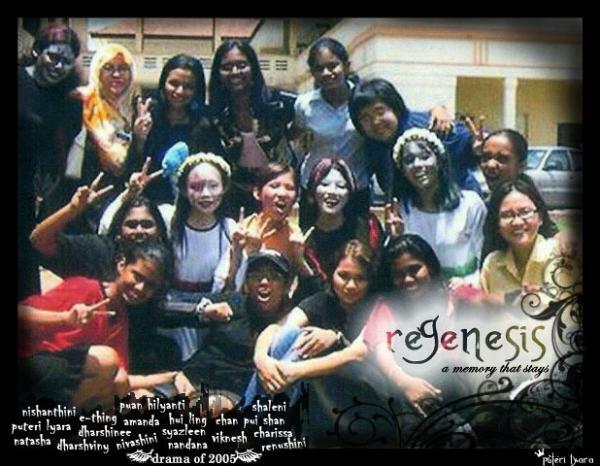 Regenesis 2005. Again i’m missing another picture ( The Abyss 2004 ) That was the year we won Sectionals, State and Regionals. And then got 1st runner up at the Nationals. I’m sure I have some pictures of it because we took a whole bunch of those, but I can’t seem to find it either at the moment. Will add it on later. Premeditated Demise 2006. The first year I left school and decided to help my brother’s school with the drama competition. Totally memorable because I got to do the whole thing with my brother. 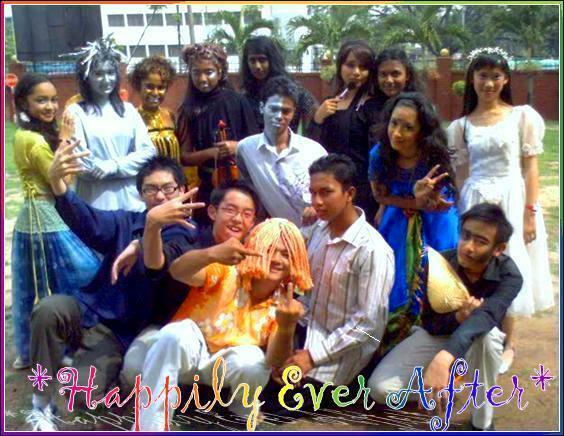 Happily Ever After 2007. The last year I did drama, before moving to KL. Wasn’t really done seriously, but I had an amazing time joking and laughing and messing around with them. Now you may wonder why I’m reminiscing all of a sudden, out of nowhere. It’s because watching Equus reminded me of how much I loved being involved in plays. And how I nearly choose to go for a Diploma in Performing Arts instead. I know if they had an intake at the time that I needed to join the college, that is what I would have gone for. Kinda disappointing, thinking about how I missed out on that opportunity. Maybe I should have gone for that. Maybe I would have been happier with it. But then again, there’s no point in thinking about maybes right. I guess I’m stuck with what I’m doing now. At least I kinda enjoy it once in a while.